Bloomington, Ind. 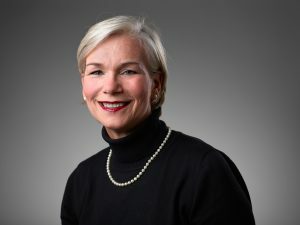 – This month, Indiana Governor Eric Holcomb named Gretchen Gutman, Cook Group’s vice president of public policy, to the Ivy Tech Community College State Board of Trustees. The appointment furthers efforts by Cook and Ivy Tech to connect individuals pursuing higher education to career opportunities. Ivy Tech’s Region 14 is comprised of Lawrence, Martin, Monroe, Owen, and the eastern portion of Greene County. Cook Group has more than 5,000 employees in the area. Gutman will serve as the Region 14 representative beginning November 1, 2017, through June 30, 2020.